Trophies is one of the best things that happened to the PlayStation platform. First introduced on the PS3 console, trophies have been upgraded a little on the PlayStation 4. Just like Xbox and Steam achievements, PS4 trophies are a form of reward that players can attain for in-game accomplishments, but not all trophies can be unlocked easily. Here is a list of some very rare PS4 trophies that are apparently the toughest to unlock. Just like its predecessor, the PS4 console also features an organized level system that gives the user an incentive to get more trophies. 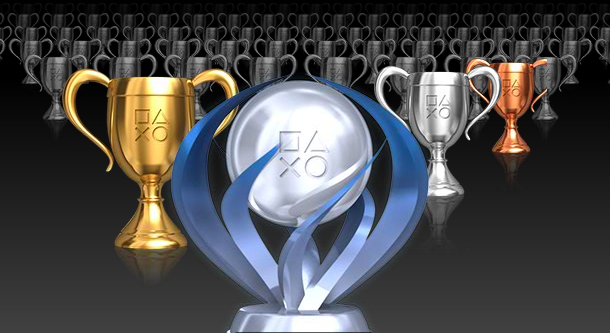 PS4 trophies motivate the players to keep playing and provide a track of the in-game accomplishments. Many core PlayStation gamers are fond of trophies, and they like to unlock each and every trophy associated with any game they play, but there are some PS4 trophies that many gamers might not want – or be able – to get, because they are simply very hard, or annoying, to unlock. The software library of Sony’s latest PS4 console is still not broad enough, and it needs some more time to build up, however still, some games released on the console pack a few trophies that are such dispiriting that apparently no gamer will dare and try to unlock them. Thanks to the folks over at Access PlayStation, we have a list of these nine in-game PS4 trophies that are said to the toughest to unlock. These trophies show up in Resogun, FIFA 14, Metal Gear Solid V: Ground Zeroes and Sportsfriends, among other games. What do you have to say PS4 players? Have you tried and unlocked any of these trophies? Let us know in the comments section below.